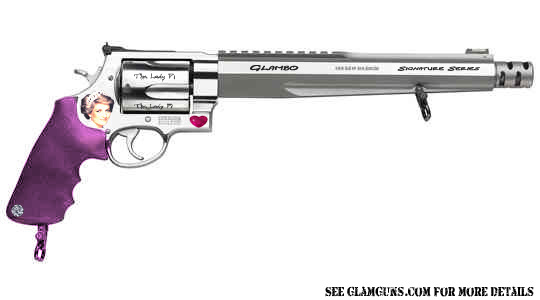 A 460 S&W Magnum given the loving touch by Glambo herself. Discerning connoisseurs will note the diamond stud in the handle and the ruby heart appliqué. The most beautiful woman in the world on the most powerful handgun in the world. How can you go wrong? A bargain at only $657.95!